1. The product created for use in various types of machinery such as construction, transportation, agriculture, and waste. 2. Rigid welded construction, high tensile welded steel end mounts, threaded gland and quality seals allow industrial cylinders to work in harsh conditions. 3. Speed range: Speed range of operation (excluding cushion parts) is less than 200mm/s. In accordance with customer requirements, the maker can also supply other ranges of speed. 4. The operating temperature (oil and ambient) is -30 to +80 degrees Celsius, but the unit should not be used when oil is frozen. The most commonly used mounting options are flange, trunnion, clevis, pin-eye, cross-tube, spherical, and tang. Cylinder mounting is chosen based upon the application’s requirements. Low friction, high load piston seals with outboard wear bands are standard. Loaded lip seals and cast iron rings are optional. High strength damage resistant piston rod provides 100,000 PSI minimum yield material in 1" through 4 1/2" diameters. Larger diameters vary between 50,000 and 75,000 PSI minimum yield material. All rods are case hardened to 50-55 RC and hard chrome plated to provide maximum wear life. Stainless steel is also available. The hard chrome plated of the piston rod according to your requirement. A. The drawing details are as follows. We are professional manufacturer in hydraulic. We will provide competitive price. 2. What is your warranty? Our products are all available for one-year free warranty and product lifetime consulting service. 3. How to ship your product? We are transported by sea, by air or by international express. According to your needs. 4. Do you support OEM service? Yes. OEM service is available. We are pleased to process according to the customer's drawings. 1. Seiko secret agents, to ensure quality of the piston rod. 2. The product have to go through heat treatment - bore boring - grinding - car processing - black nitriding and many other processes. 3. The company accepted the Valet processing various types and various sizes products, processing and processing more quotes, welcome to consult. We offer 12 months warranty. 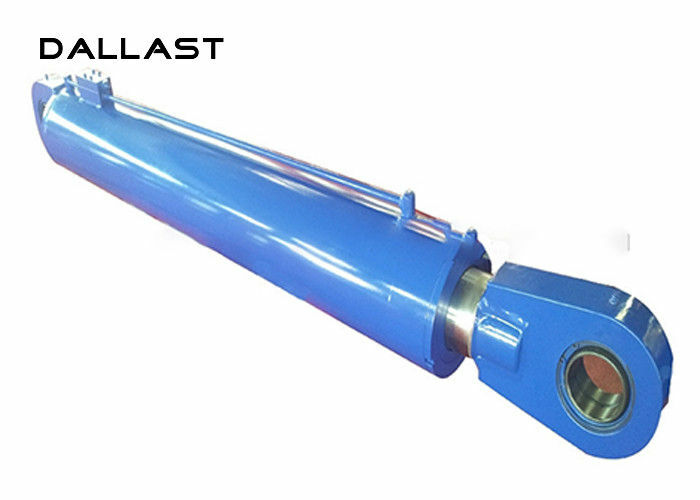 As our hydraulic cylinders, hydraulic cylinder parts, such as the piston rod; Shenzhen DALLAST offers one of the best standard products warranties in this industry. We use of defective materials for normal use when properly maintained for 36 months from the date of shipment in normal use and service.